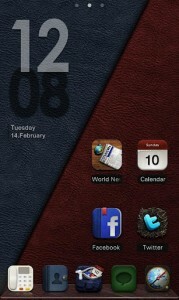 1.Add 5 different color wallpapers. Sira Theme GO Locker has been issued . Try it now! Follow the steps to achieve the effect in the preview screenshots. 1. Make sure you have installed GO Launcher EX. 2. Download and install Sira Theme GO Launcher EX. 3. Click Menu > Themes, choose and apply Sira Theme. 4. If you want to achieve such of the fourth preview effect,In your phone desk.Then long press Phone icon > Replace > Theme Icon, and choose the corresponding icon,Other and so on. 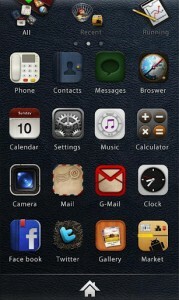 5.One of them is transparent icon, you can flexible use it to hide you don’t want to see the APP.